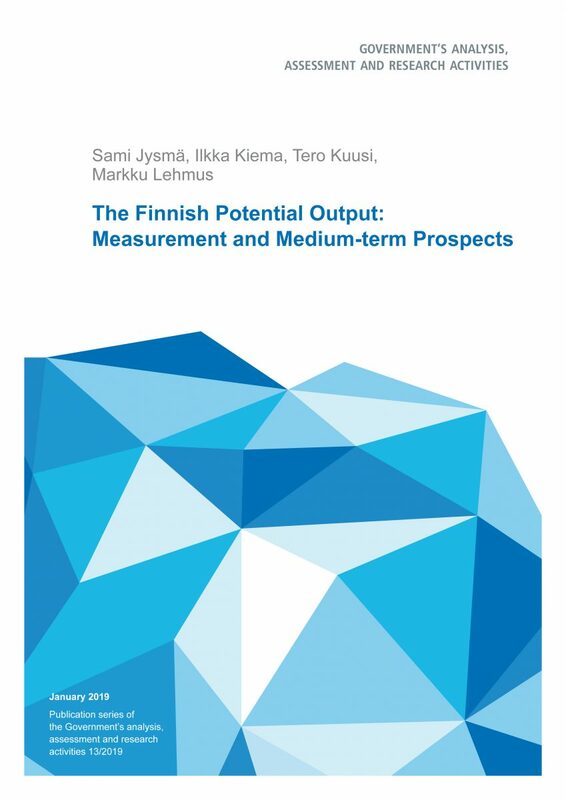 In this report, we discuss the measurement of the potential output of the Finnish economy and the potential’s medium-term growth prospects. We apply novel approaches to the estimation of Finland’s production function (constant elasticity of substitution, CES) and the filtration of the potential output (Sequential Monte Carlo method, SMC) with the aim of improving the European Commission (EC) production function methodology in mind. Our results suggest that the cyclical component in the fluctuation of Finland’s GDP may have been historically larger than the European Commission method would suggest. We present statistical evidence which supports the replacement of the Cobb-Douglas production function with the more general CES function. The latter function leads to a distinction between labor- and capital-augmenting productivity which matters for the measurement of the potential output: the capital-augmenting productivity tends to develop in a more procyclical manner than the labor augmenting productivity, and the SMC estimation shows that there is negative covariation in the cyclical components. We further apply the SMC method to estimate the NAWRU and the labor force participation rate as well as their covariation. The results are similar with the EC estimates during the last years, but smoother during the Finnish Great Depression. We find that especially the estimates of NAWRU and the potential labor-augmenting productivity are very sensitive to the real-time uncertainty. We study the medium-term growth potential of the Finnish Economy in the years 2019–2023 using Etla’s multi-sector growth model. We find that the average GDP growth rate produced by the model forecast is 1.5% under the expected trends in technology, demography, and trade. The growth is predominately determined by information technology and the external trade. Publications of the Government’s analysis, assessment and research activities 13/2019.